Human trafficking and smuggling, according to different reports, ranks third in the world’s most lucrative businesses, after trafficking in drugs and weapons. This business is global and therefore the only way to address it effectively is through the coordination of multidisciplinary agents on the three levels of action: local, regional and international. Human smuggling and trafficking are intrinsically connected since smuggling refers to illegally moving people from one country to another for economic or material benefit, while trafficking refers to the crime committed when a person is captured, transported, transferred and received for exploitation. Millions of people are not only caught by deceit and false promises in their countries of origin, but they also risk their lives to reach a destination where labour or sexual exploitation awaits them. To all this must be added the large sums of money they pay, without any guarantees, to the mafias who are experts in organised crime and who profit from their suffering. The report on the global index for slavery, victims of smuggling and trafficking calculates that, as of July 2018, there were 40.3 million victims of trafficking in the world, of which 71% are women and 25% are under 18 years of age. The victims of human smuggling are men and women, but the predominant profile of the victims of trafficking are most definitely women and the cause of exploitation is mostly sexual. Today, Nigeria is one of the most important source countries for human trafficking and smuggling in the world. Thousands of women and children from West Africa are recruited for trafficking before being taken to Nigeria and then smuggled out of the country, mainly to Europe, and treated as chattel. Specifically, this illegal activity is centralised in the State of Edo, a 2016 UNODC report, estimates that 94% of the women of Nigerian origin trafficked in Europe came from this state. We cannot ignore the large number of internally displaced people there currently are in Nigeria due to the internal Boko Haram war. Undoubtedly, this elevated number of men and women expelled from their homes provides ideal conditions for the traffickers. Therefore, the causes behind this business are extremely complex because they are associated with structural factors that are difficult to mitigate, such as poverty and war. For this reason, FIIAPP, along with the ATIPSOM project, is following the strategy adopted not only by the European Union but also by the Nigerian National Agency for the Prohibition of Trafficking in Persons (NAPTIP), which is based on: preventing trafficking through information and awareness to prevent thousands of women being caught by deception; protecting victims of trafficking and smuggling who have returned to Nigeria, and; pursuing the traffickers and smugglers with the ultimate goal of prosecuting them based on current legislation penalising these kinds of actions. 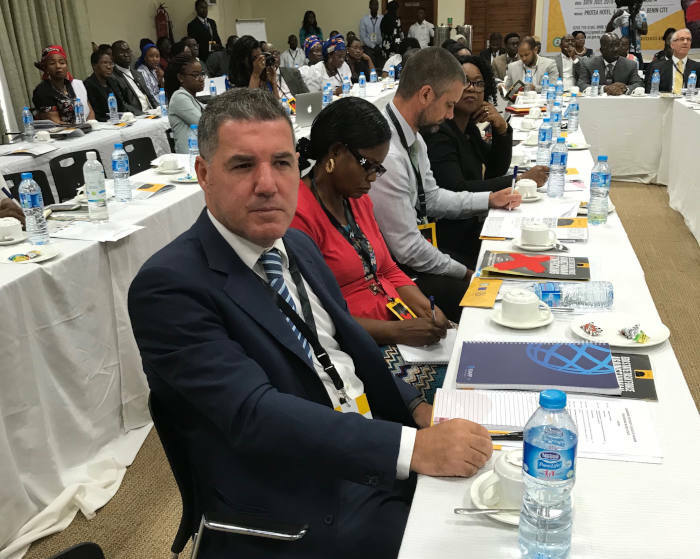 In relation to this last point, FIIAPP can count on the experience of the Spanish National Police in investigation and coordination, which is essential to improving the results concerning the identification, pursuit and prosecution of the hundreds of criminals trafficking and smuggling people between the different Nigerian states. The following actions cut across these three pillars: strengthening the coordination between government agencies and the collection of the quantitative and qualitative data needed to improve the design of actions and public policies; strengthening the coordination between the authorities in the different countries, not only in Nigeria, but also in the transit countries: Nigeria, Algeria and Libya, and strengthening the coordination between authorities and civil society by creating spaces for the exchange of information, experiences and actions. All the actions follow a gender approach since, as indicated, trafficking is mainly a business based on the dehumanisation of women as a sexual instrument. This project undoubtedly complements the Nigerian government’s strategy, not only so that the actions are viable and sustainable, but also so that coordination and cooperation between all the countries involved might form the structural pillars for long-term participation to reduce the number of women and men who are victims of this new form of slavery in the 21st century.